New Autism & Asperger's audio CD is an informative, insightful and inspirational production to help educate parents, relatives, teachers and employers about autism and Asperger Syndrome. It features interviews, poetry and music from people who have Autism and Asperger's, educational and insightful interviews with parents and researchers as well as compelling stories of hope. Many people have heard of autism, but few are familiar with its close relative: Asperger Syndrome. Actually, most people know very little about both conditions or have misconceptions about persons with Autism and AspergerÂs. ThatÂs precisely why Mindscape Productions, L.L.C. (http://www.mindscapeproductions.com)developed an audio CD to educate people about autism and AspergerÂs in an interesting, engaging and inspirational way. 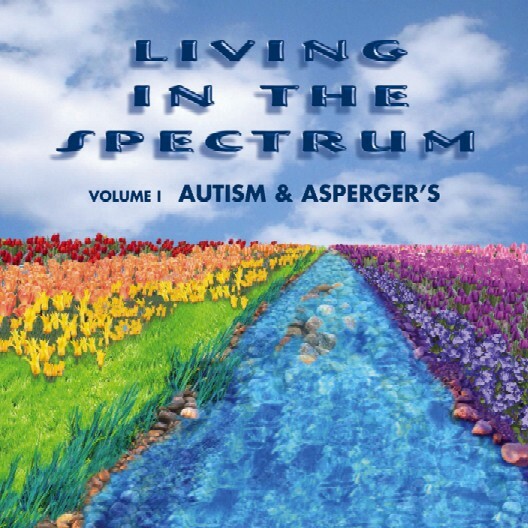 The CD, entitled ÂLiving In The Spectrum: Autism & AspergerÂsÂ is filled with valuable nuggets of insight from researchers, parents and actual individuals who are affected by the disorders. It takes a unique, optimistic approach to covering both conditions, featuring captivating music, poetry and interviews. Autism is a spectrum disorder whose symptoms and characteristics can present themselves in a wide variety of combinations, from mild to severe. Symptoms include: disturbances in the rate of appearance of social and language skills; abnormal responses to sensations; impairment of speech and language; and abnormal ways of relating to people, objects and events. Mildly affected individuals may show only slight delays in language and greater challenges with social interactions. The severe form of the syndrome may include extreme self-injurious, repetitive, highly unusual and aggressive behavior. Autism typically appears during the first three years of life. Recent research establishes the prevalence of Autism as 1 in 250 and is four times more common in boys than girls. It has been found throughout the world in families of all racial, ethnic and social backgrounds. Children donÂt ÂoutgrowÂ autism, but symptoms may lessen as they develop and receive treatment. AspergerÂs is a neurobiological disorder named for a Viennese physician, Hans Asperger, who published a paper in 1944 describing the autistic-like condition. Individuals with AspergerÂs typically donÂt have the severity of communication problems as those with autism, however, they show marked deficiencies in social skills, have difficulties with transitions or changes and prefer sameness. They typically have obsessive routines and may be preoccupied with a particular subject of interest. Often overly sensitive to sounds, tastes, smells, and sights, people with AspergerÂs may prefer soft clothing, certain foods, and be bothered by sounds or lights that no one else seems to notice.. So far, parents and professionals have responded positively to the CD, which was officially released July 16. ÂThis CD is a breath of fresh air because it adds a new dimension to the total picture where doom and gloom is often the first emotion parents feel when their child has received a diagnosis of Autism,Â says, Laurence A Becker, PhD, Creative Learning Environments. Parent, Suzanne Rossi says: ÂThis positive approach left me with renewed hope that someday autism might be viewed less often as a disability and more often as human diversity. Great Job! Audio samples of the CD are also available on the website. For more information or a press/media review copy, contact Lecia Macryn at (248) 288-2242. CD cover: "Living In the Spectrum: Autism & Asperger's"Picture of CD cover for Living In the Spectrum".